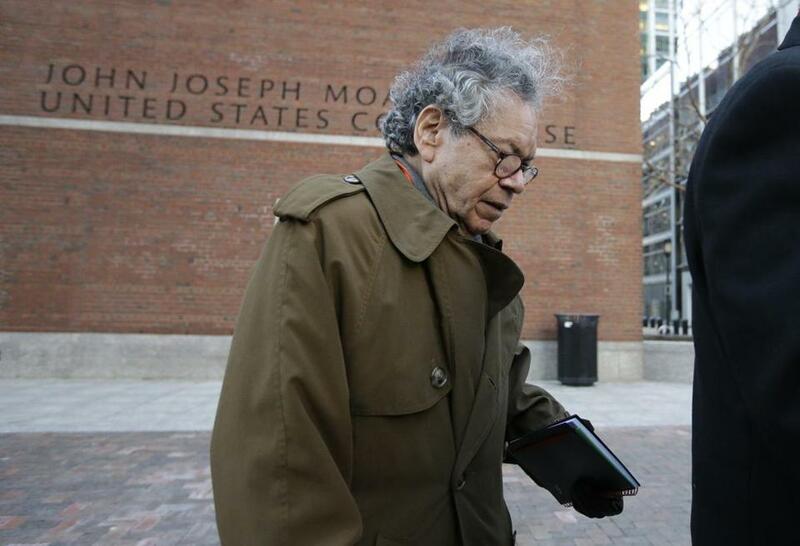 Among the defendants in the Insys Therapeutics trial in federal court in Boston is the company’s founder, John Kapoor. Paul Lara had been taking Subsys, the fentanyl spray his new doctor had prescribed for his chronic pain, for only a few months when he noticed the symptoms. At first, they were mild. He would forget where he left his car or would misplace his keys. Then Lara’s forgetfulness became more frightening: He suddenly got lost driving home and had to call his wife for directions. He began having hallucinations. At his job selling cars, customers asked him questions and Lara could only stare back, dumbfounded. “ ‘I have no idea what this person is saying to me,’” he recalled thinking. Lara, a 55-year-old grandfather from San Antonio, Texas, asked his doctor, Judson Sommerville, if it might be the new medication. Lara had been on some form of painkillers since 2006, when he fell on cement, damaging his neck and back, but he had never experienced side effects like these. The doctor, who had started prescribing Lara Subsys in 2013, told him that was impossible. “I just thought I was dying,” Lara said in an interview Thursday, one day after he testified in the landmark trial against five former executives of Insys Therapeutics, which manufactured and marketed Subsys. The defendants stand accused of conspiring to bribe practitioners into prescribing the powerful painkiller in high doses to patients who did not need it. Lara was one of four patients called this week to US District Court in Boston to testify against former top executives of Insys, which profited wildly from the sale of Subsys, a painkiller that had been developed for cancer patients. The defendants include company founder John Kapoor. Lara said he learned two months ago from federal investigators that his insurance company had been told he suffered from cancer, a fraud meant to ensure Insys Therapeutics would be paid the $25,000 a month in prescription costs for the painkiller. “It was mind-blowing,” Lara said of the deception. The defense has argued that the Insys executives on trial sought doctors with legitimate credentials for their speaker program, which paid practitioners to tout Subsys to other people in their field, a common and legal practice among pharmaceutical companies. What was illegal, prosecutors said, was that the payments were a quid pro quo: Practitioners who prescribed Subsys and prescribed it in high doses would be paid tens of thousands of dollars. Those who didn’t were removed from the speaker program. The patients who testified said they did not have cancer, but all of them were still prescribed high doses of the painkiller, which led to addiction. Sara Dawes, 47, who for more than 20 years has suffered from a rare neurological condition that causes burning and shooting pains in her face, said she had taken a wide array of painkillers, none of which worked. Then, she met Heather Alfonso, a nurse practitioner who was part of Insys’s speaker program and recommended Subsys. First, Alfonso, who worked out of a pain management clinic in Connecticut, started Dawes on 400 micrograms and eventually moved her up to 800, Dawes testified. The painkiller left her almost immobile with fatigue, she said. During cross-examination, Beth Wilkinson, the lawyer for Kapoor, noted that Dawes had also been taking 800 micrograms of Fentora, another powerful painkiller, at the same time she was on Subsys. “That was a lot of medication, right?” Wilkinson asked. “Yes,” Dawes said. Wilkinson also pointed out that it was one of the other practitioners at the clinic who prescribed both Subsys and Fentora to Dawes, a doctor who was not part of Insys’s speaker program. Alfonso has pleaded guilty to taking $83,000 in kickbacks for prescribing Subsys. Sommerville, Lara’s doctor, had his medical license revoked in 2017. Lara, who lost his job selling cars and now helps take care of his grandson, is being represented by Michael Rainboth, a New Hampshire attorney who has sued Insys on behalf of other patients who were prescribed the drug.